Whether you are building a new home, renovating or simply redecorating your current home, ensuring that a complete wiring system is in place is a critical first step. 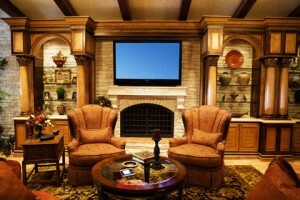 Smart wiring your home will enhance its value, even if you don’t use the improvement right away. This opens up a world of possibilities for audio, video, and home automation that can improve your lifestyle. Audio Addicts can pre-wire your home or work with your architect and builder to ensure the right wiring is installed in the proper locations. Audio Addicts has the expertise to retrofit smart wiring in almost all existing homes that were not pre-wired during initial construction. With structured wiring in place, controlling your high-tech systems from a central location has never been easier. Having your home prewired provides a network of links to your components for easy powerful control, and unlimited possibilities for tomorrow. Our specialists can help you customize your system to meet all of your needs, or start with the basics and easily add on as your structured wiring needs evolve.